SPONSORED LINKS It's a nice feeling to go home having some gifts to your love ones, but before planning to buy for some items kindly check the lists of specific item allowable to bring to ph. 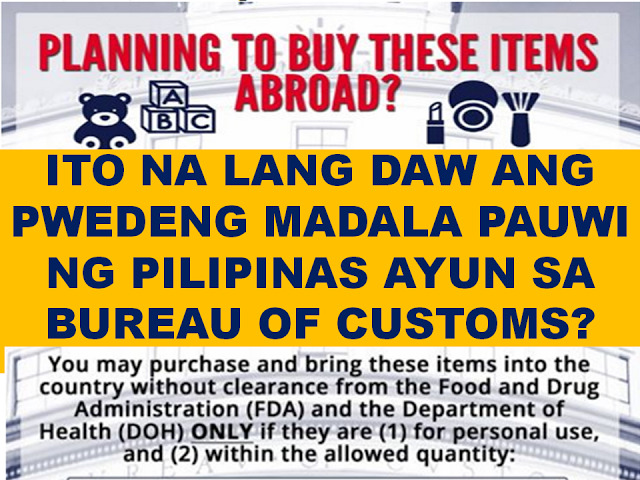 Did you know that you can only bring five bottles of perfume into the Philippines if you do not have clearance from appropriate agencies? This and other guidelines were shared by the Bureau of Customs (BOC) on Thursday as Filipinos return to the country for the holidays. 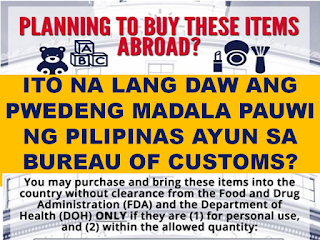 Overseas Filipino workers and tourists coming back to the Philippines should consider consulting the BOC’s infographic on the quantity limit on items that do not have clearance from the Food and Drug Administration and the Department of Health. 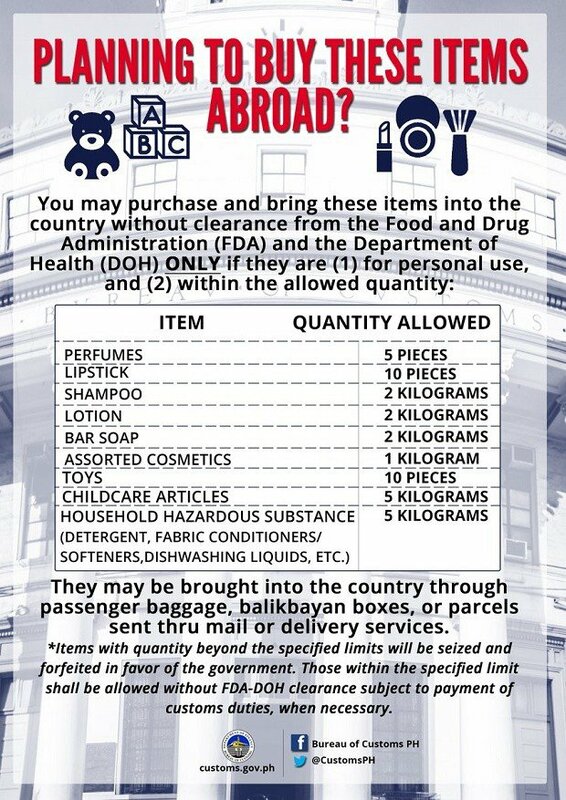 BOC said passengers bringing home items for personal use have to limit their perfumes to five bottles, lipstick to 10 pieces, shampoo/lotion/bar soap to two kilograms each, assorted cosmetics to 1 kilogram, toys to 10 pieces, “childcare articles” to 5 kilograms and “household hazardous substances” such as detergent and fabric softeners to 5 kilograms.